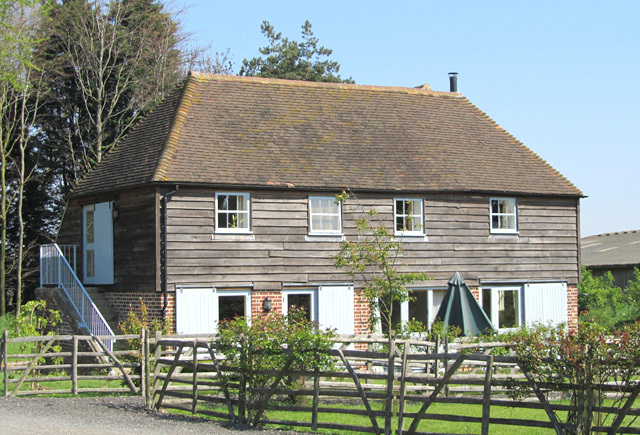 Great Higham Oast is full of special, original features inside and out, with cosy interiors (and under floor heating!) for a winter break and great open spaces for the summer months. Sleeping 10 people comfortably with plenty of space to spread out, the Oast is ideal for extended family holidays or getting away with friends. Its open plan living and dining area brings the group together and a fully fitted kitchen, with dishwater, fridge/freezer and all the equipment you need means that catering for a large group is a breeze! In the summer time, you can also spill out onto the lawn and your own south facing patio area, sitting 10 with a BBQ to use on sunny evenings. 1 x Master bedroom with gorgeous oak bed and en-suite shower room.